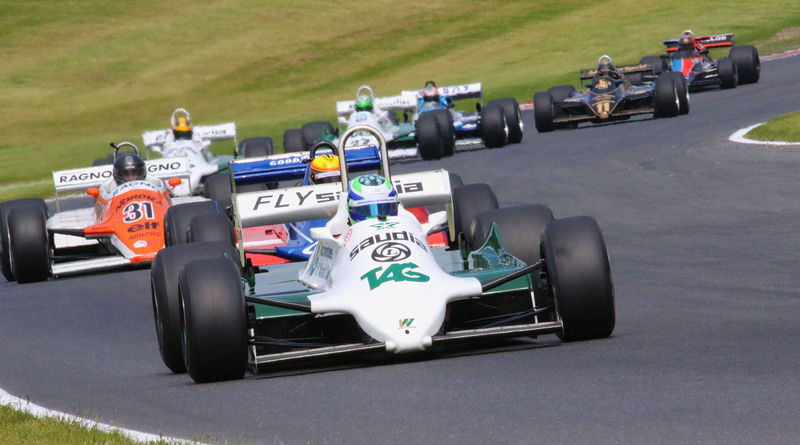 An unparalleled performance by Nick Padmore saw the Newdigate resident take a clean sweep in the FIA Masters Historic Formula One double-header at Brands Hatch GP last weekend with two pole positions, two fastest laps and two wins. 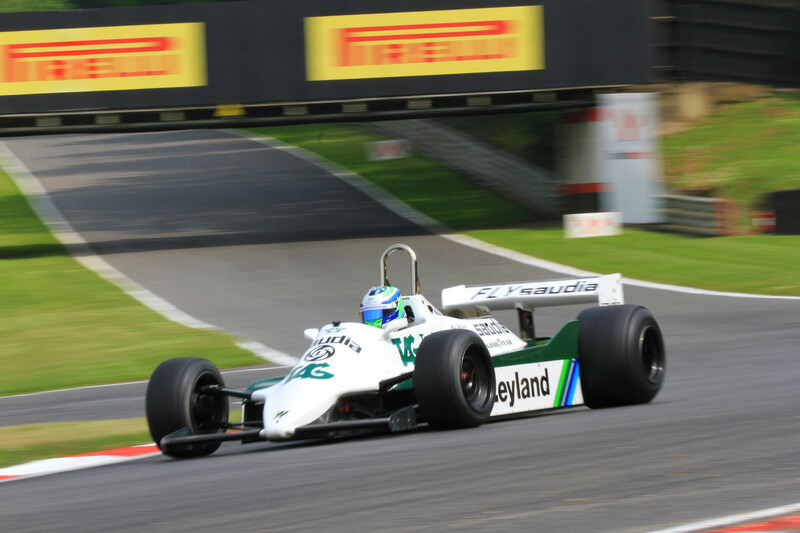 Making his debut appearance in the 1981 Williams FW07C, owned by Max Smith-Hilliard, Padmore was on the pace from the outset in qualifying and headed the timesheets throughout the session, claiming his pole position time on lap 6, 0.2 seconds clear of Loic Deman's Tyrrell. Race 1 saw Deman take the lead at Paddock but he was deemed to have been out of position at the rolling start, giving himself an unfair advantage. However, Padmore stayed with him until the safety car was deployed on lap 7. The race got underway again two laps later and Padmore successfully made a sensational move for the race lead up the inside of Deman at Surtees before pulling a comfortable margin, setting the fastest lap of the race on lap 12 by over 2 seconds, and taking victory after 17 laps. Deman was later excluded from the results. Padmore continued to dominate the weekend with another perfect performance in Race 2 on Sunday, holding the lead from the start and setting the fastest lap of the race on his first flying lap. Throughout the race he pulled away from Deman to stretch a 6.7 second lead and he completed the double by sealing another fine win, earning himself the James Hunt Trophy which he was presented with on the podium. "It's been a brilliant weekend - everything went to plan and the car felt great right from the word go. "Thank you to everyone at WDK Motorsport and also of course a massive thank you to Max for handing me the opportunity to race this iconic car. 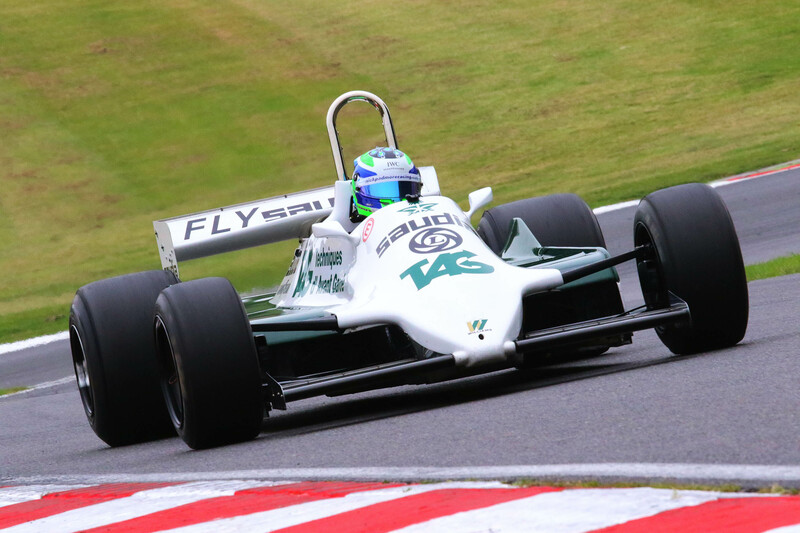 "I've always wanted to race an F1 at Brands and I'm very privileged to have achieved a childhood dream with the opportunity to drive a ground-effect car here. This is my favourite circuit in the UK - it's a real ballsy track with no run-offs and lots of undulations. "I'm so pleased for Max too - it's great to see him on the podium and carry on from his 2nd place at the Historic Grand Prix of Monaco two weeks ago."